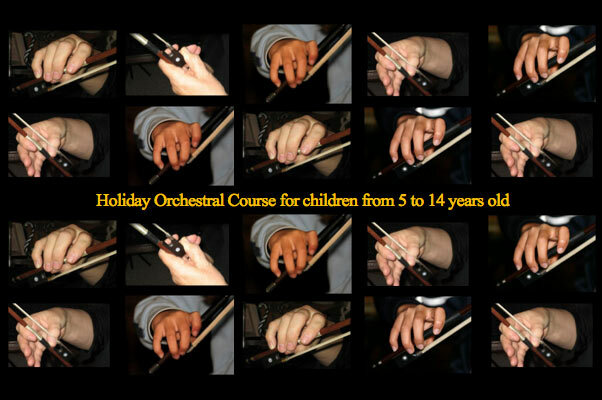 This is an intensive orchestral course destined for children aged 5 to 14 who are working their instrument(s) solo for the rest of the year and want to have an opportunity to “make” music. In the tradition of all LMFL courses we provide quality language teaching, limited to French (FFL) and English (EFL) in very small groups, in situ during the course. Nevertheless the course is entirely conducted in English, and basic to fluent knowledge is required. 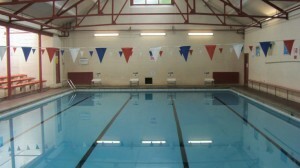 The timetable includes 2 hours section work with a specialist + 2 hours orchestral work + 1 hour choir + 1 hour swimming. Every two hours of working time are followed by 1 hour wild run about in the wooded and open field premises. Language tuition (optional) is taken in the morning and evening in slices of 1 hour. Vocal coaching one to one is offered by Simonida Miletic. At LMFL we are serious about providing a safe environment for very young people to develop. Our priority is that all students are safe and happy. LMFL provides Pastoral Staff to help with everything non-musical, whether it be organising entertainment as well as dealing with all aspects of health and safety. Our Pastoral Staff are highly experienced in working with young people and are wholeheartedly committed to children’s learning. We firmly believe that enjoyment and education go hand in hand, and our Pastoral Staff are here to ensure that students have the best time they can. All of our employees are subject to Disclosure and Barring Services checks in accordance with UK law. 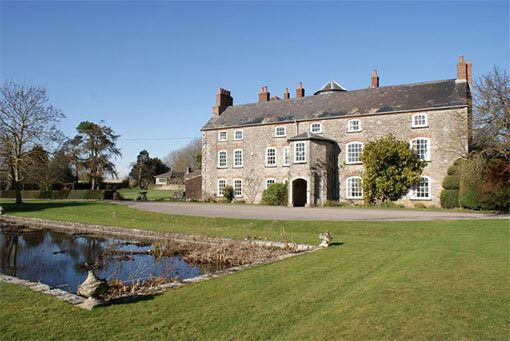 The course takes place at Tockington School in Bristol. All instruments from Grade 4 up to Grade 8 + Choir. The school grounds include an impressive covered swimming pool for our young musicians’ relaxation, as well as tennis courts, a cricket pitch and delightful private woods. Applicants should be aged 5 up to under 14 at the time of the course. Students aged between 5 and 9 should either be living locally, or in a local Bed & Breakfast with parents who would bring them to the course every morning. We will provide lunch and tea at the school. We will take students from 9 to 14 as boarders (50 beds only), or they can also be brought by parents every morning. 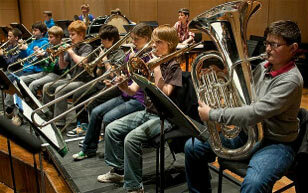 The course is designed for players who have reached at least Grade 4 standard on any orchestral instrument. Entry is by audition and selective, and players can either come along to one of our playing days in London or Bristol and audition there, or they can audition via email (a short 2 or 4 minute audio-video clip recorded on a laptop or phone that can be emailed here). We also accept teacher references as part of the application process as a way of evaluating playing standards. If you have any questions, do email from the Contact Page. 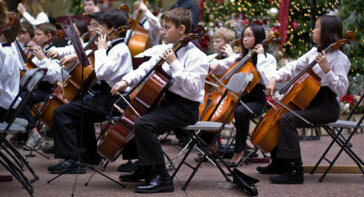 Strings: Violin, Viola, Cello, Double Bass, Harp. Only 1 place for a pianist. The deadline for applications is 1st April 2015. You will receive a reply about your application within one week. The end of course concert will be on the evening of August 30th (weather permitting) on the Tockington Manor School main lawn at 6pm or in the hall. Where is Tockington Manor School ?